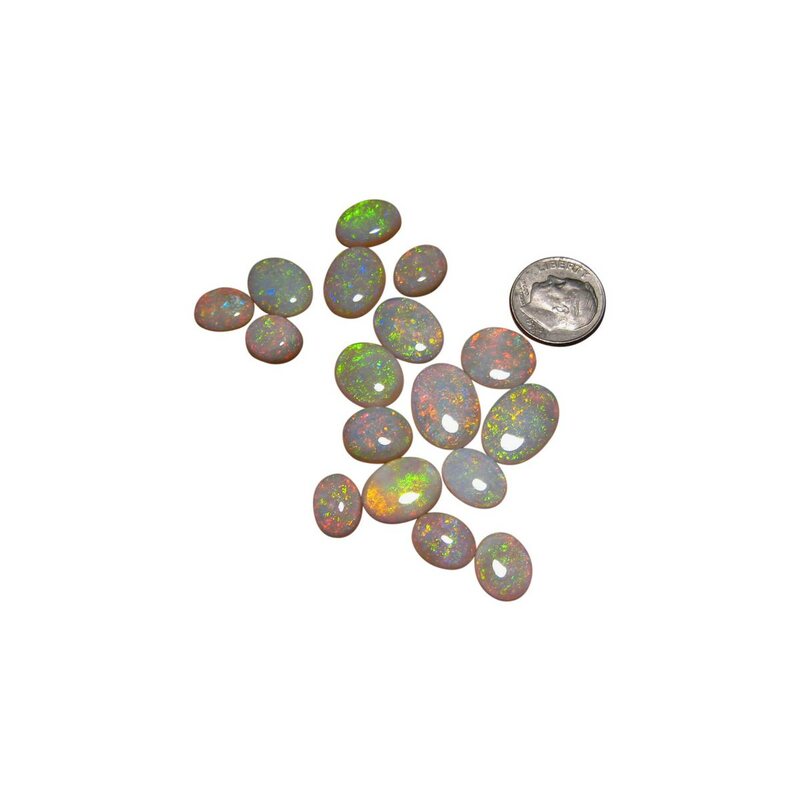 A parcel of oval Crystal Opal stones all from the same pocket of Opal. 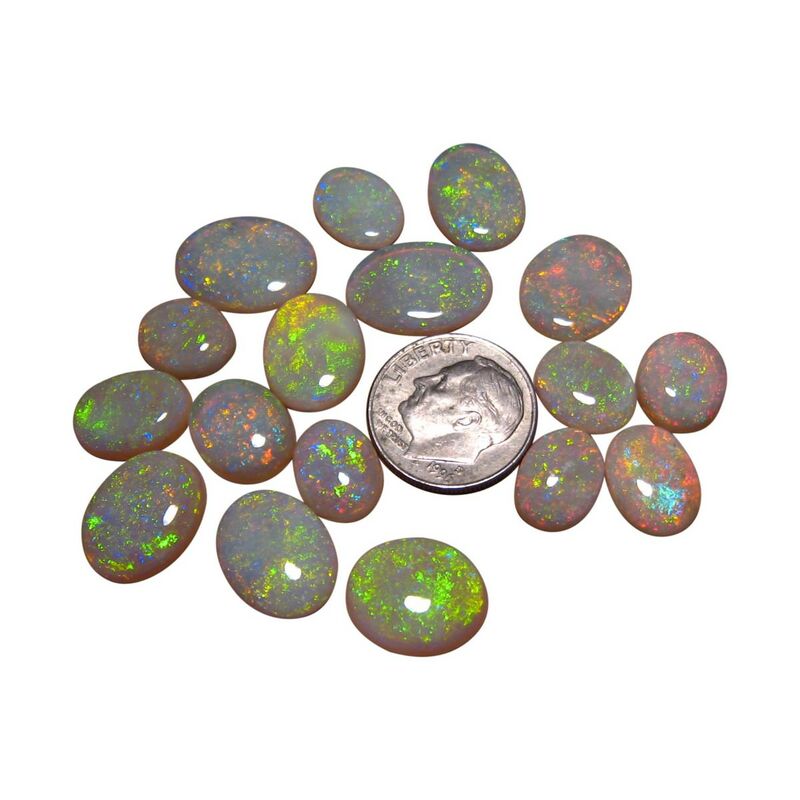 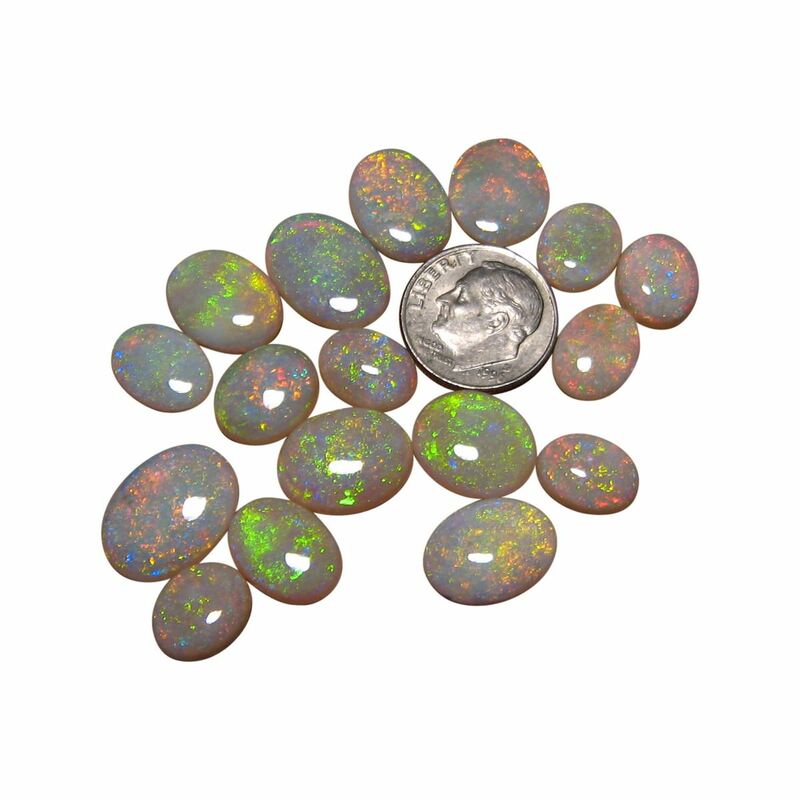 A fantastic lot of Opals ready for setting in jewelry and priced at $130 USD each. 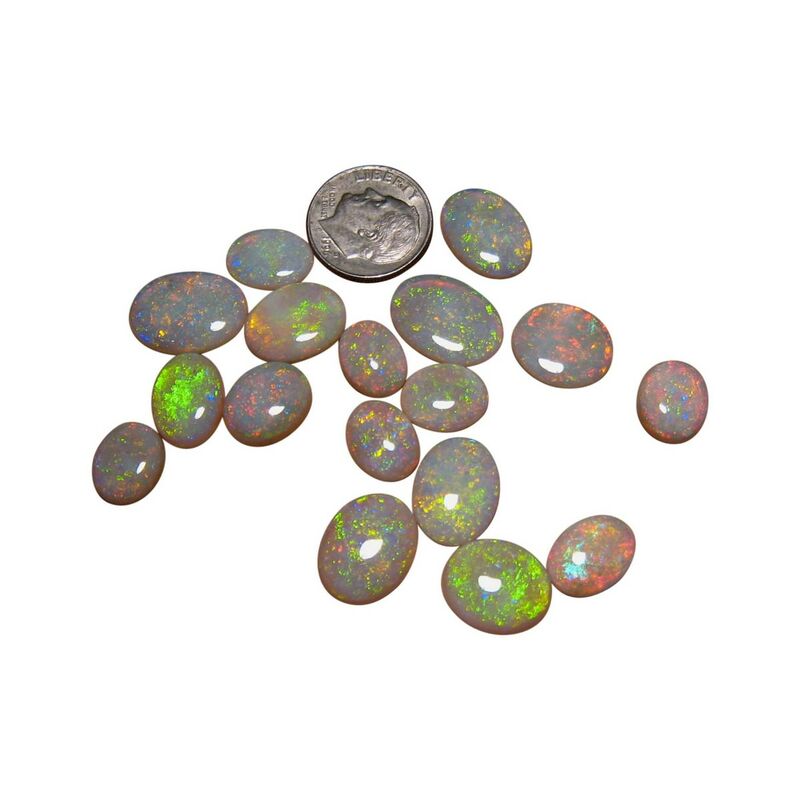 17 Opals in total mined at Coober Pedy all cut to ovals with a combined carat weight of over 48 carats. 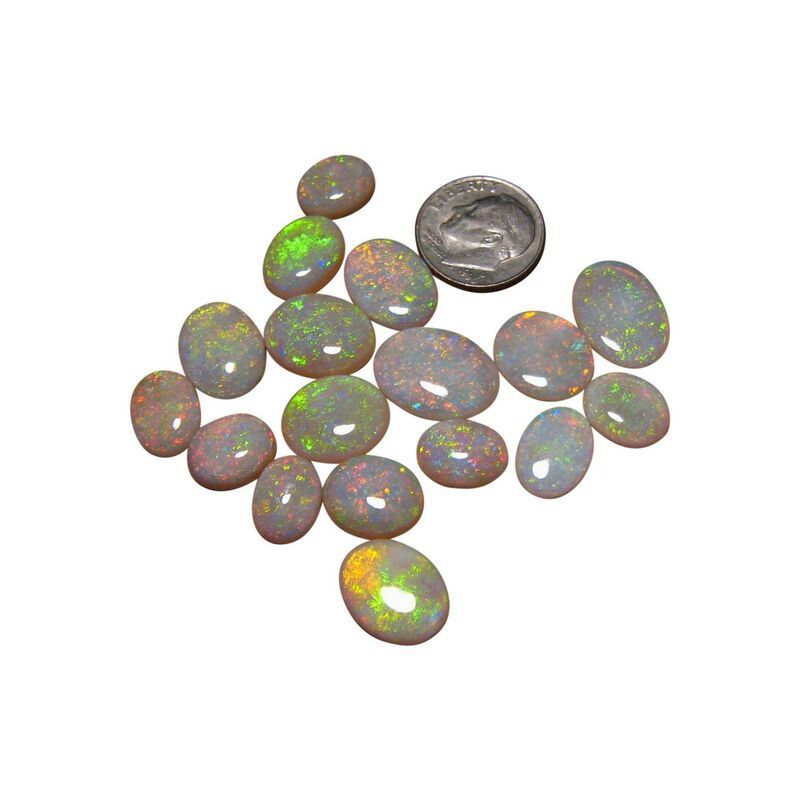 The Opals display beautiful bright colors and lively patterns with some Opals very similar so could be set in earrings. 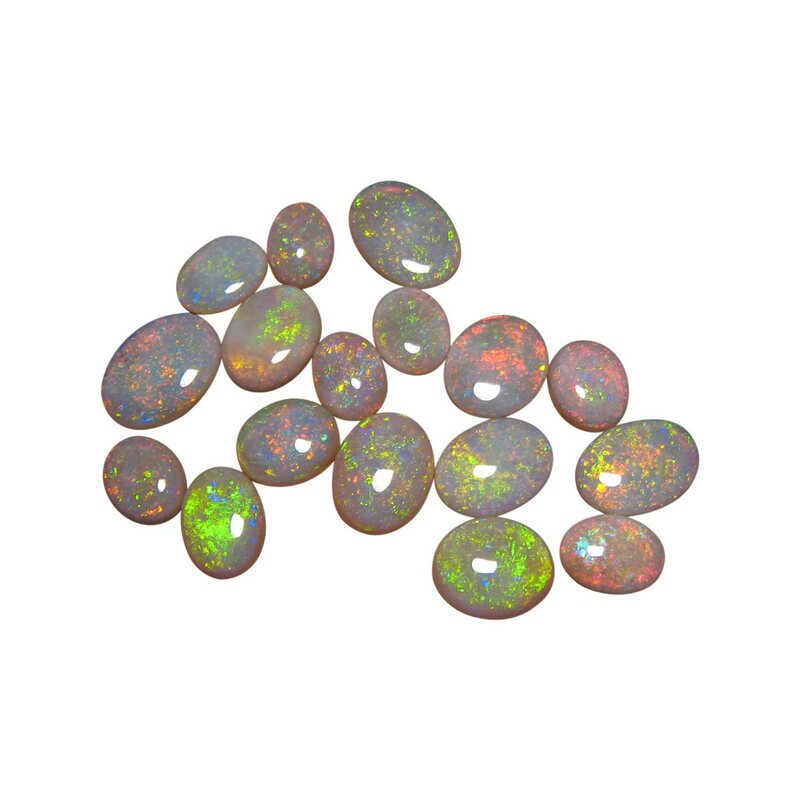 Allow at least 2 business days before shipping.